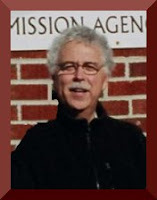 The Rev'd Jim Benbrook will be at St. Alban's to preach and celebrate on The Second Sunday after Pentecost, June 10, 2012. Fr. Jim will join us for both the 8:30 a.m. and 10:30 a.m. liturgies. Please give him a warm welcome. Fr. Whit will be away at Camp Hardtner serving as the Dean of Primary Camp.